1. Emory University (Atlanta, Georgia): Ask anyone for the best schools for writers, and Emory will inevitably emerge. With a plethora of outstanding minds flocking to and from Emory every year (be it guest lecturers, students, or alumni), it is no wonder why Emory would be a prime place for a budding writer. Emory offers extraordinary flexibility to its students; the only required course of all English majors is Poetry. Emory also allows English majors to double major in creative writing through Emory’s very own undergraduate Creative Writing program, which offers workshops spanning over several genres, including poetry, fiction, creative non-fiction, playwriting, and screenwriting. Students looking for more personal settings with professors will be happy to find that most English classes cap at 15 students, while the largest cap at 25. 2. Hamilton College (Clinton, New York): Hamilton College is known not only for its high quality coursework or wide breadth of options for English majors but also for its nationally renowned writing center. Like Emory, Hamilton College allows English majors to concentrate in either English literature or creative writing. Hamilton’s creative writing program offers courses and workshops in poetry, fiction, creative non-fiction, and playwriting (in which students will write and stage a one-act play). Whether concentrating in English or creative writing, Hamilton strives to cultivate all its students into elegant writers and great thinkers. And with one of the greatest writing centers in the nation to boot, it is a challenge to find a better place to study the English language. 3. 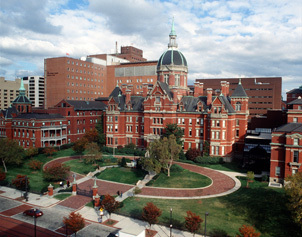 Johns Hopkins University (Baltimore, Maryland): There are few programs in Johns Hopkins that aren’t among the best in the nation. Their English department boasts a long history of producing well-received and distinguished writers. While they do offer courses in creative writing, Johns Hopkins focuses much more on literary writing, critical analysis, and literature education to improve writing skills. Those seeking workshop settings should perhaps look elsewhere, but those wanting to master their control and understanding of the English language should look no further. With a published and highly regarded faculty in small, intimate classroom settings, great ideas and voices have nothing to do but flourish. 4. Massachusetts Institute of Technology (Cambridge, Massachusetts): Most people wouldn’t immediately think of MIT as a great writing school given its enormous reputation for engineering, computer science, and technology. However, MIT offers an extensive and unique writing program that not only produces great writers but prepares them to be competitive in the harsh job market of English graduates. One thing that sets MIT apart from other universities is the fact that, rather than having one English department that covers both writing and literature, they split the traditional English department into two entirely separate programs. Their writing program not only instructs creative writing but also science writing and digital media. They boast a dynamic faculty of novelists, essayists, poets, translators, biographers, historians, engineers, and scientists. Students focusing in creative writing are encouraged to choose a sub discipline as well (humanities, arts, or social sciences) which creates for an extremely unique, well-rounded, and practical English language experience at the university level. Not to mention, Cambridge is just a stone’s throw away from the lively cultural hub that is Boston. 5. New York University (New York, New York): Beyond the acclaimed faculty and progressive coursework, the location of NYU itself is reason enough to study there. Imagine living in the heart of New York City (what some call the greatest city in the world) for four years. Surrounded by museums, parks, and huge historical landmarks, there is no way not to be inspired. Combine this with the large variety of English concentrations offered, including a creative writing program, and an English education at NYU seems unbeatable. What’s more, NYU creative writing graduate program has enormous amounts of prestige and is often ranked top five on most publications’ top creative writing programs lists. Maybe this is due to the location; maybe it’s the published and award-winning faculty; maybe it’s the variety and quality of courses. 6. Washington University in St. Louis (St. Louis, Missouri): A haven for any growing writer, Wash U’s creative writing program offers a variety of courses, taught by their talented MFA faculty as well as second-year MFA students. Beyond your traditional poetry and fiction classes, Wash U offers unique special topics such as The Short-Short, Sudden Fiction and Microfiction, Literary Journalism, and Stories From the Suburbs with plenty more in mind for increased expansion. The program places added emphasis on critical reading and workshopping to produce well-rounded writers with a deep grasp of their craft. Wash U’s MFA program is often ranked in the top ten of MFA programs each year, and, with such a blossoming undergraduate program and dedicated faculty, this trend seems very likely to continue. 8. Columbia University (New York, New York): Columbia may be the only school in New York that can stand head to toe with NYU’s location. Just a few miles north on the Island, surrounded by parks and only a couple blocks away from Central Park, Columbia is the perfect environment to muse off your surroundings and become entranced in inspiration. With names like J.D. Salinger, Federico Garcia Lorca, Hunter S. Thompson, Eudora Welty, Jack Kerouac, Langston Hughes, and Allen Ginsberg, Columbia boasts an enormous literary legacy of producing great writers. While Columbia is known for its preparation in journalism, they also offer a very nice creative writing program. Their undergraduate creative writing program combines intensive writing workshops with seminars that study literature from a writer’s perspective, resulting in a vital and unique experience for writers that you can’t receive from just any English program. Their graduate MFA program is ranked among the best in the nation every year and boasts a highly talented and respected faculty. 9. University of Michigan (Ann Arbor, Michigan): Like most undergraduate schools these days, Michigan offers an undergraduate writing program in addition to their English major. Both English and non-majors are encouraged to take the program; in addition to teaching students to write effective analytic arguments, the undergraduate writing program also offers courses in creative writing for fiction and poetry. Michigan’s notable creative writing MFA program remains top-ranking for the past few years, and that does not appear to change anytime soon. 10. Colorado College (Colorado Springs, Colorado): This private liberal arts college offers a great deal of variety through their English department. In addition to studying the English major, students can concentrate in creative writing or film studies. Both concentrations require additional courses and study than it would to simply complete a regular English major, but with great work comes great reward. In the creative writing concentration, students review each other’s work, collaborate on projects, and present writing pieces near the end of their course of study at Colorado. In the film studies track, the department focuses on story development and film writing. While filmmaking is also an offered course, more emphasis seems to be placed on writing, understanding character development, and plot. This helped me so much! I’m still but a freshman but I was looking ahead in the future to give my self a goal. This website helped me in giving a list and i really want to talk about it with my counselor about some of these colleges here! thank you! I would have appreciated you asking to use my image for your article as this is clearly marked as copyright on my Flickr stream! Hey! I’m in eleventh grade and I’m doing a paper on colleges except I have no idea on where I should go! I’m good at writing and science so if anybody knows a college, the please by all means help! How could they leave UC Berkeley out of the list? It is perfect time to make a few plans for the longer term and it’s time to be happy. I have learn this put up and if I could I desire to recommend you some interesting things or tips. Perhaps you could write next articles regarding this article. I desire to read more issues about it! I went to Colorado College, studied Comparative Literature, and have no doubt that the program is top of the line. The college is, without a doubt, one of the nation’s finest institutions for the study of literature and the preparation of an agile and curious mind of the writer. If one desires such a thing, look no further than CC. Im in *th grade and I dont know what to do. Im looking at colleges and i don’t know how to choose one. It may seem silly, yes, but my mom won’t help me. Im great at two things; Writing and Sketching/Drawing. if anyone knows the best colleges for those two things. I’d greatly appreciate it. Waverly, I was just like you in my freshmen year. I wanted to go to Columbia ever since I was in 7th grade. What this article and many articles like it fail to mention is the undergraduate women’s college of Barnard. Trust me: now that I am here, I must say that Barnard’s undergraduate college is far superior to Columbia College’s, and it is a concentration in the English major, which is definitely the right way to go (at Columbia, it is just a minor). Please keep this in consideration as you aspire toward your dreams. This website really helped a lot. I am a freshman in high-school and although it may seem early, I wanted to take what college or university I plan to go to into serious consideration. 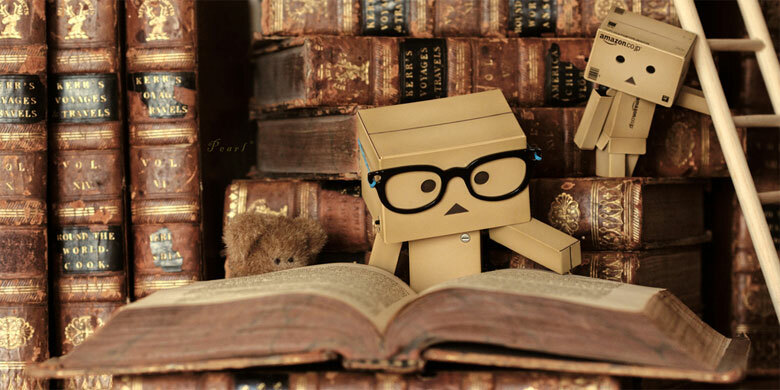 I know I want to become a writer but not many people know which colleges have the best programs for writing. People mostly know which law school or medical school they plan to go to so I decided to look online. Thank goodness I found this page! Now I’ve decided that my ambition is to get accepted into Columbia University.